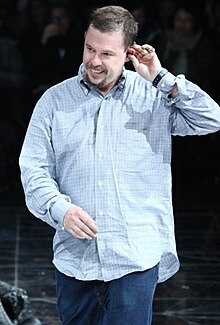 Lee Alexander McQueen, CBE (1969 nî 3 goe̍h 17 ji̍t – 2010 nî 2 goe̍h 11 ji̍t) sī Eng-kok ê sî-siōng siat-kè-su. I ê sî-chong piáu-ián te̍k-pia̍t ū hì-ke̍k-sèng. Caroline Evans (2004). "McQueen, Alexander". Chū Valerie Steele. Encyclopedia of Clothing and Fashion. Charles Scribner's Sons. ISBN 0-684-31394-4. Chit ia̍h siāng bóe tī 2018-nî 3-goe̍h 17-ji̍t (Pài-la̍k), 05:11 ū pian-chi̍p--koè.